AKA. 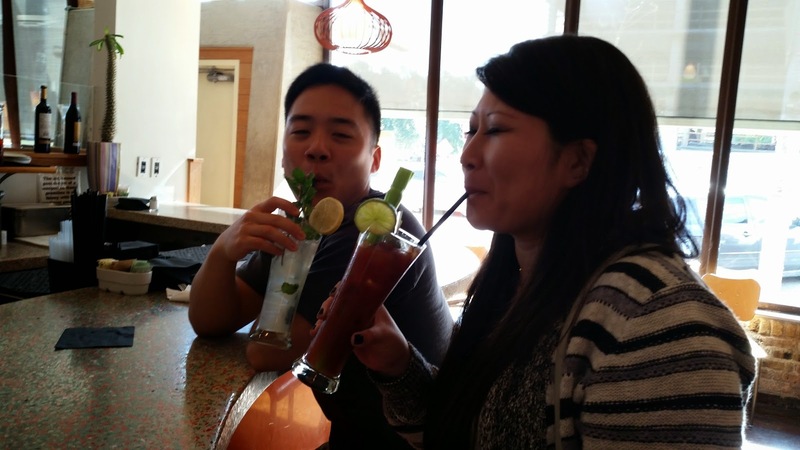 The day we said goodbye to Eric, Sunny, Sena, and James. The others were preparing to start their final day in Austin by waiting in line for 3 hours to partake in the best-rated BBQ in town (Franklin); we movie geeks had brunch instead at South Congress Cafe before our first screening of the day. 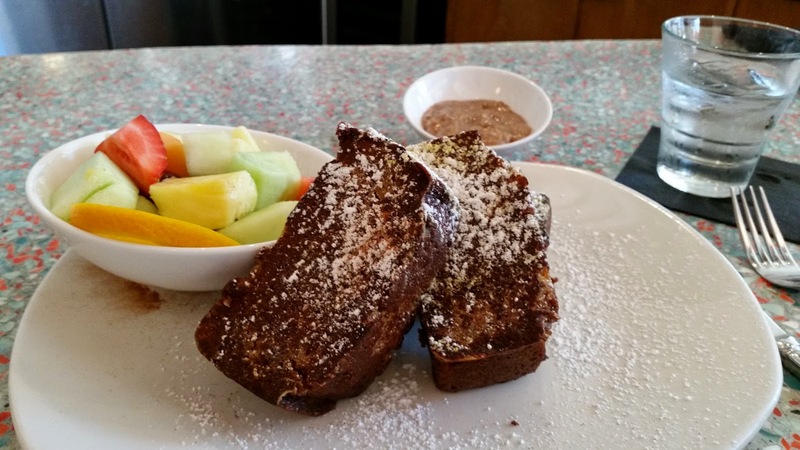 Carrot Cake French Toast with cream cheese-pecan syrup. A slow-burn, character-driven film about a vampire that doesn't really have any powers other than healing quicker than normal humans; doesn't really sound that great, does it? We went with this movie because the other choices in the time slot weren't any better. The acting is amateur at best, the production values are suspect, and the premise isn't exactly fresh. The makers of this movie clearly watched a lot of NEAR DARK, but nothing remotely as cool or fun as anything in that film is seen here. Still, this wouldn't be worst vampire flick I would see at this year's Fantastic Fest... 2 out of 5. This was a secret screening, which means that no one in the audience knew what we were going to watch except for the Fantastic Fest staff. In the intro before the screening, Tim League - the founder of Fantastic Fest - said this was his favorite genre film of the year so far, but that he would never show this to his wife. Now I know why. 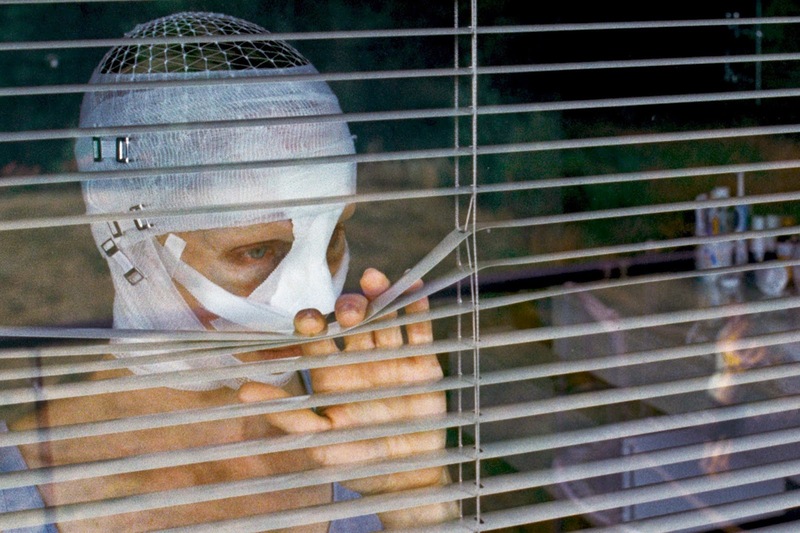 GOODNIGHT MOMMY is about a pair of twin brothers, Elias and Lukas, who are spending their summer doing what boys do - swimming, playing hide-and-seek, and venturing around their peaceful home. One day their mother arrives home with bandages mysteriously covering her face. As time goes on, she acts colder and more hostile to the boys, making them suspect that she may not be their mother, but someone else. I was quite taken with this film. It's very well-directed, with gorgeous cinematography and has top-notch performances to boot. I'm not sure how well Diana would have taken this, so I'm kinda glad I saw this alone. 4 out of 5.
Who knew Cousin Matthew was such a badass? 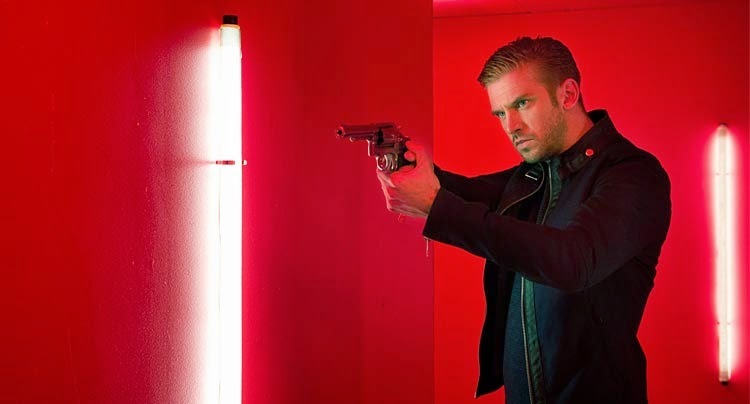 Dan Stevens gives an awesome performance as David, a soldier returning from the war abroad to help console his dead friend's grieving family. He's incredibly charming, yet creepy and menacing with his piercing blue eyes turning cold and machine-like at a moment's notice. It's a star-making turn, and I hope the movie is a hit. The guys behind YOU'RE NEXT are improving with each feature, so I'm even psyched for their next project - the remake of I SAW THE DEVIL, and I never get excited for remakes! This was definitely the highlight of the day. And I'm buying that killer soundtrack. 5 out of 5. 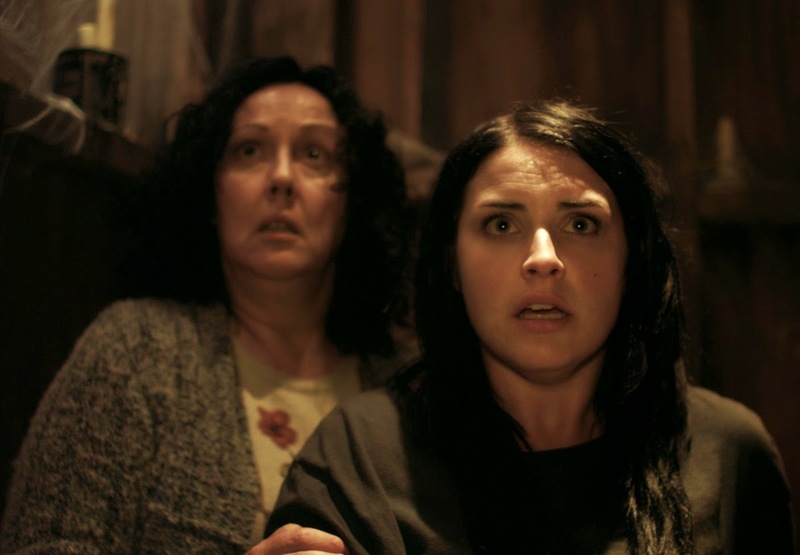 I'm seeing some Peter Jackson influences in this horror comedy from New Zealand, about a young woman that's forced to return to her childhood home to carry out her house arrest sentence. Which doesn't sound like a bad deal, except now she has to deal with her eccentric mother... oh and her house may be haunted. That's a great premise, and it's executed to near-perfection by writer/director Gerard Johnstone in his feature debut. It's scary, funny, and filled with great moments. 4 out of 5.